Me and Ben were recently in Tesco doing some shopping before Christmas and fancied a nice easy dinner that would also be a bit special. We noticed a new range in the chilled section and decided to give it a go! It was the new Tapas! range, a collection of dishes available in a deal – 2 dishes for £4 or 6 for £10. 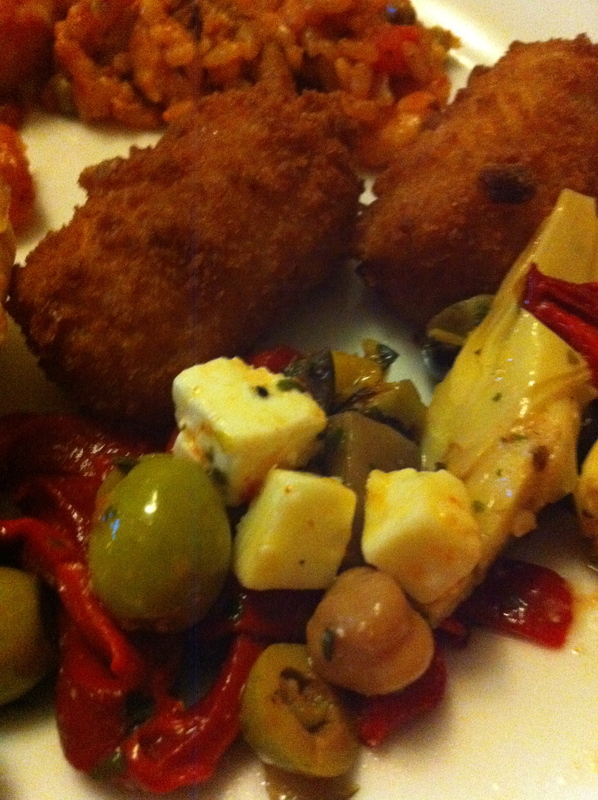 We go to La Tasca quite often when they have their 50% off vouchers and love the food there. 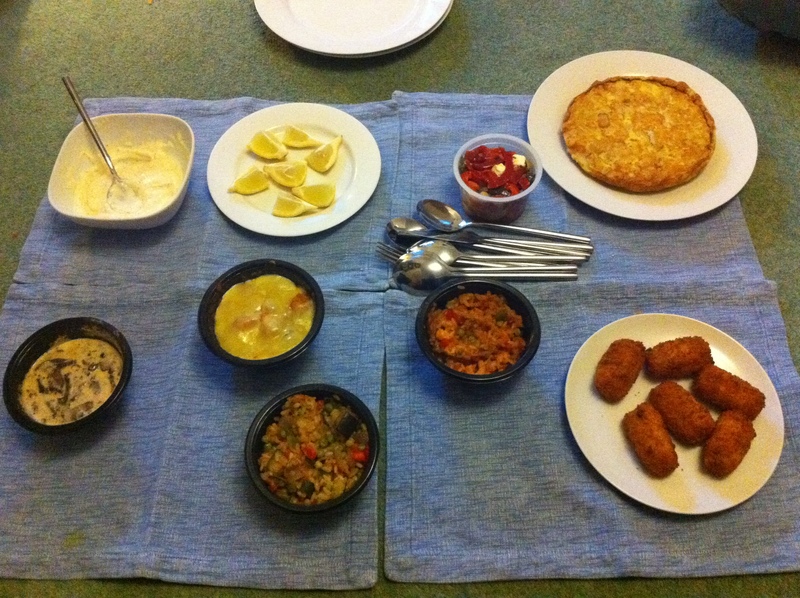 6 dishes for £10 seemed really good value so we got stuck in! 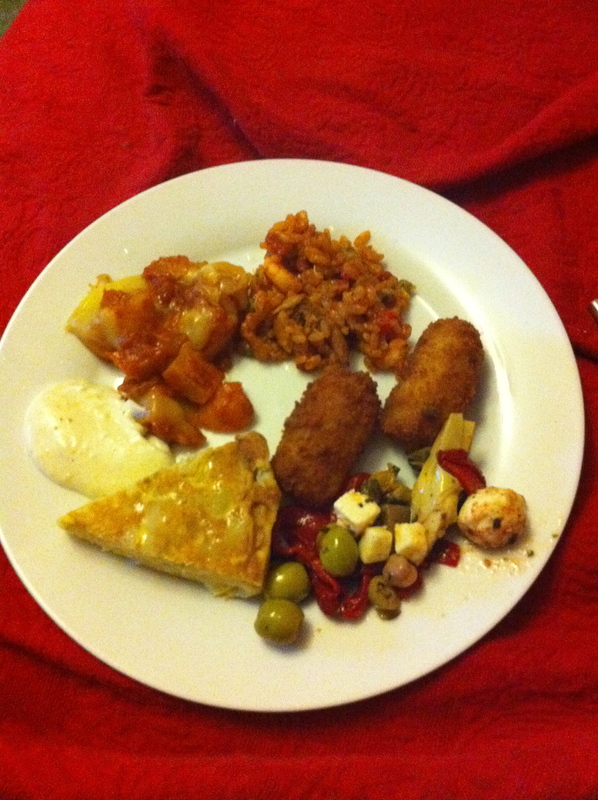 Ben is vegetarian so he chose a veggie paella and creamy mushrooms, I chose chorizo croquettes and chicken paella and we decided to share the (vegetarian) spanish omelette and patatas bravas. We also couldn’t resist getting some fresh olives from the deli counter so all in all we had quite a haul! We eagerly set about cooking the dishes when we got home and found it was really easy. They all had similar cooking times and most just needed 20 minutes or so in the oven so there was no faffing about with timings (ideal when you fancy having a glass or two of wine!) I also quickly made some garlic mayonnaise as aioli is a constant accompaniment to the dishes at La Tasca and we love it! I just crushed a garlic clove into some Hellmans mayonnaise with some salt and pepper, really easy and it tasted lovely! Not quite aioli but good in a pinch! In no time at all our feast was done and we plated it all up. Ben has just moved into a new house and we don’t have a coffee table yet so we had a little indoor picnic! 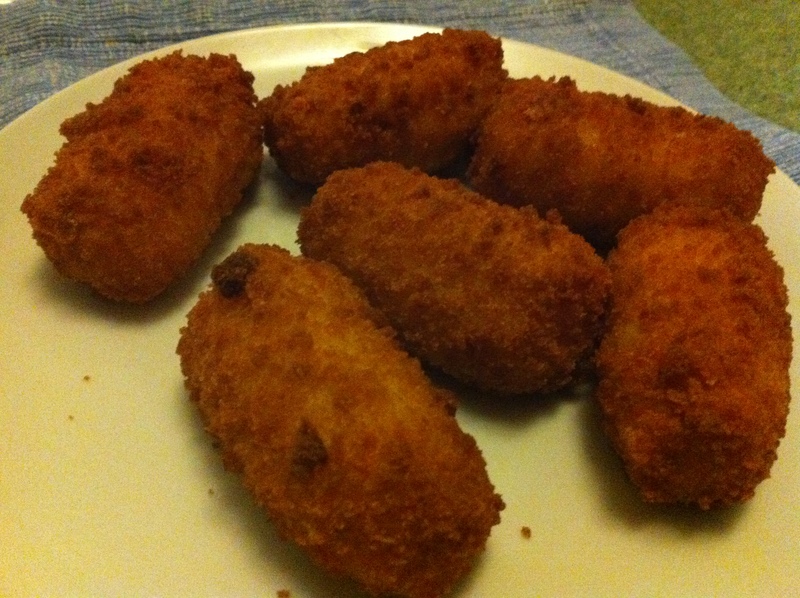 The chorizo and cheese croquettes. I was really excited for these but they were actually really bland, I ended up dipping them into my garlic mayonnaise to make them a bit more exciting. A disappointment! 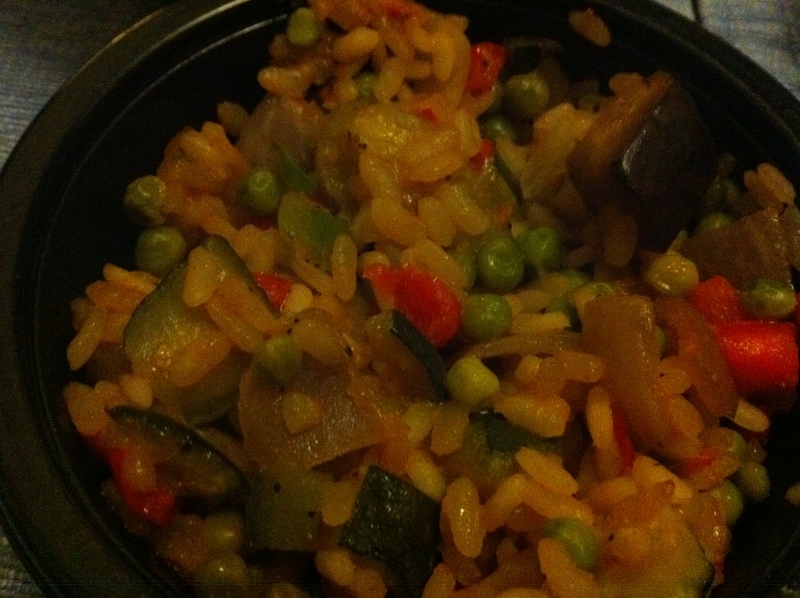 Ben’s paella de verdunas – really nice, lots of little veggies (onions, mushrooms, peas, red pepper) and good amount of flavour. 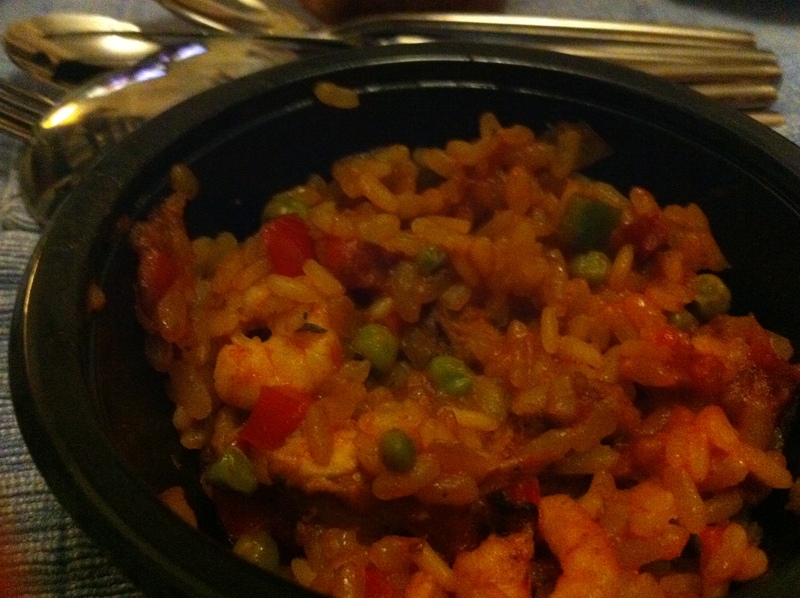 You also got a lot more rice than in the meat paella which was a bonus! My paella valenciana. Chicken, prawns and spicy chorizo. This was really lovely! Nice heat from the chorizo and a good amount of prawns. Only got two bits of chicken though! 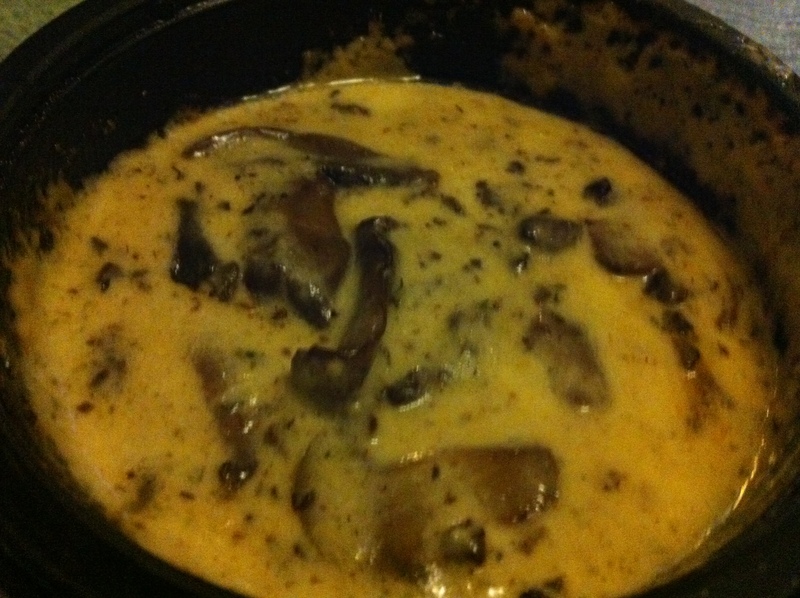 Champinoes al ajillo – Creamy garlic mushrooms. Ben really enjoyed these but we realised some bread would have been nice to use up the last of the sauce. I didn’t try them as I am not fond of mushrooms. Patatas Bravas. There was no question when we spotted these that we would be adding cheese, we ALWAYS order our patatas bravas con queso when at La Tasca and couldn’t really imagine having them without! These were really lovely, the sauce was quite spicy and there was lots of it so the potatoes weren’t dry at all. Really good sized portion as well, we didn’t finish them! 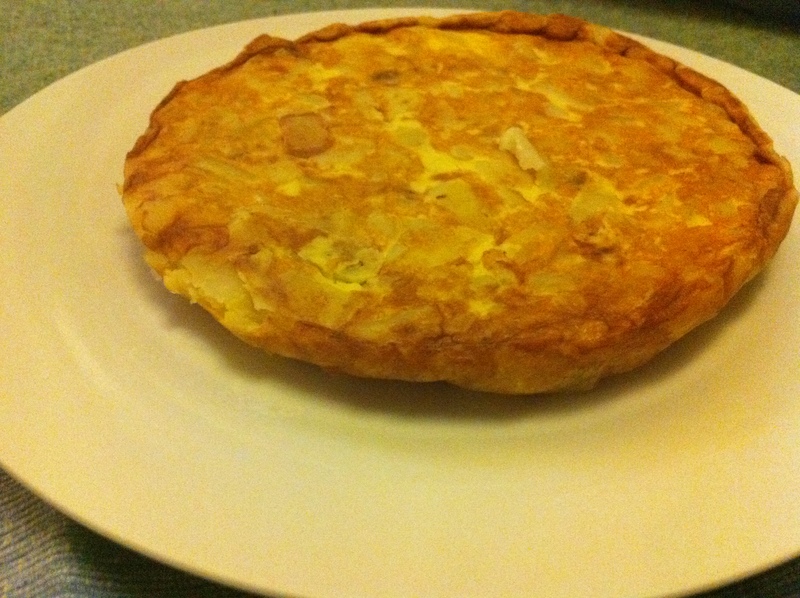 Tortilla! This was delicious, and huge! Really the best value item in the deal I think, we each had a couple of slices and were full! Lots of yummy leftovers. 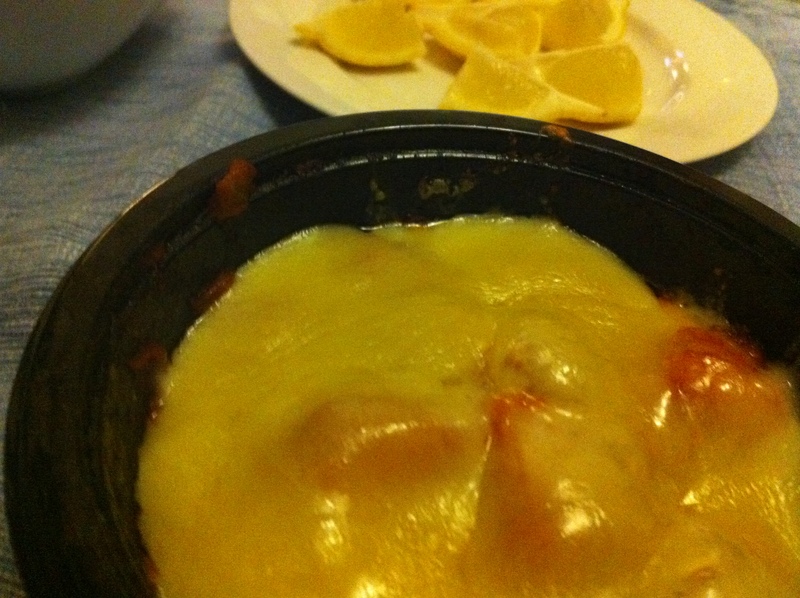 Spanish Omelettes are quite bland but we added the garlic mayo and ate it with the tomato sauce of the patatas bravas and it was lovely. 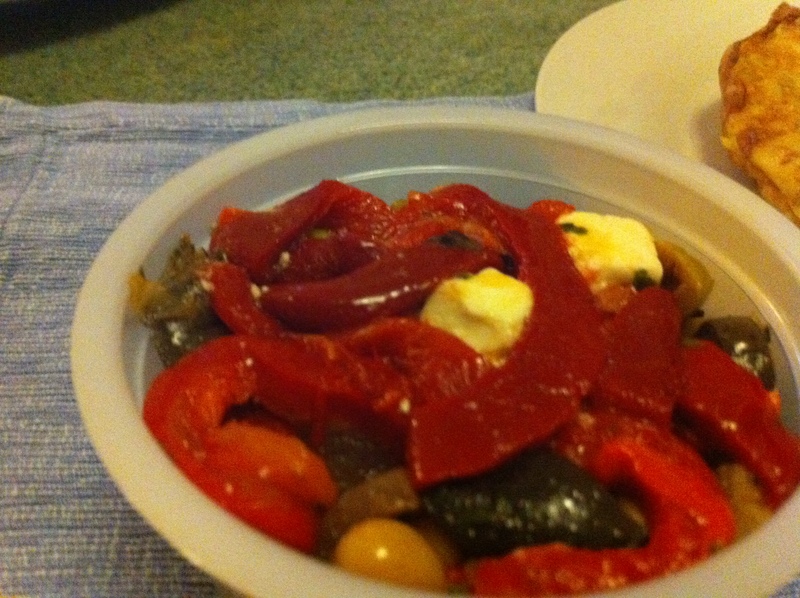 Nice shot of our mixed olives, we had a few different types of olives plus strips of red peppers, feta and mozzarella cheeses, marinated artichokes and sundried tomatoes. Nice cooling accompaniment to some of the hotter dishes. Overall we felt this deal was really good value for money and the food was of high quality. 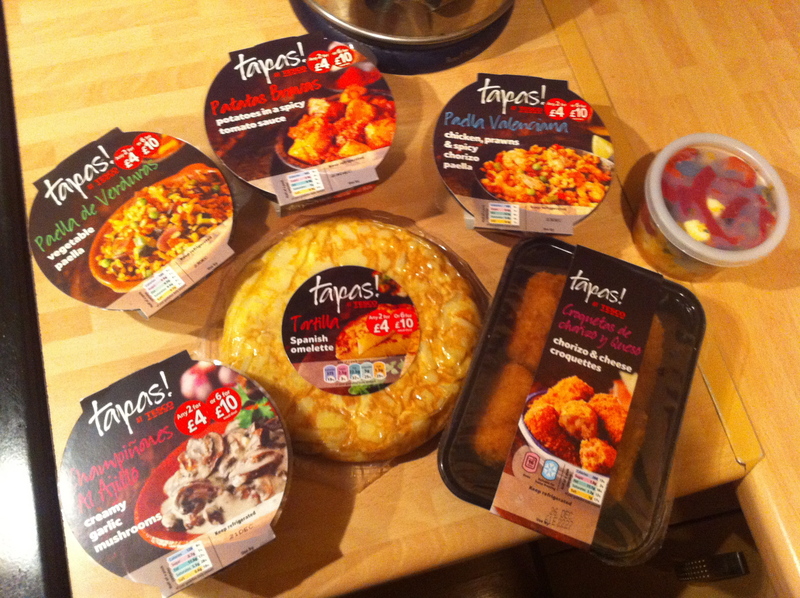 Much cheaper than a night at La Tasca as we always get carried away there and order far too much leading to an expensive night, even with a voucher. Much less risky and easier to eat at home and you can BYOB!